No matter your sport, few things in life match the excitement of attending a game at your favorite stadium. There’s just something about the energy of a sold-out crowd, the sound of live announcers and of course, the smells from the concession stand. Stadiums are home to great experiences and family fun. Unfortunately, they’re not always home to healthy food options. 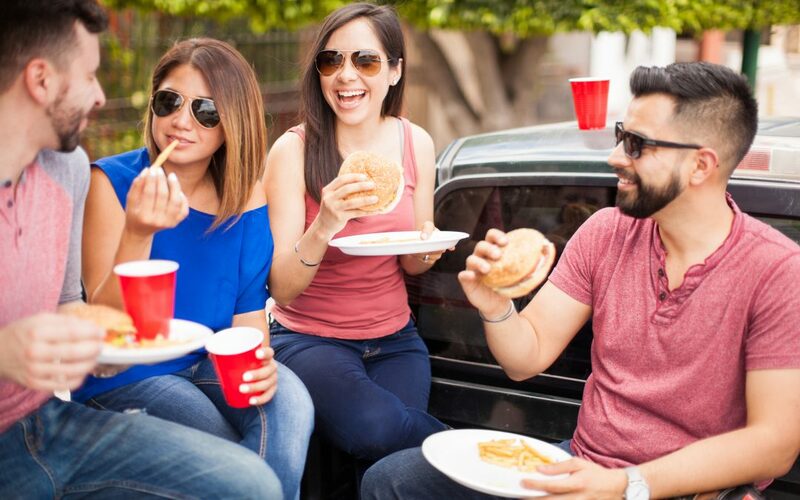 From burgers and hot dogs to cotton candy and Cracker Jacks, there seem to be unhealthy options tempting you to strike out everywhere you look. However, it is possible to score big on healthier options. Follow these tips to enjoy the game without sidelining your healthy lifestyle. 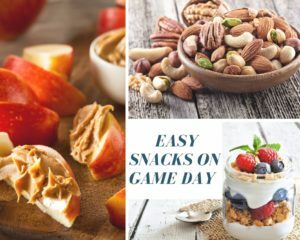 There is no doubt that stadiums come packed with tons of food options, and while some should be avoided at all costs, others can be a slam dunk. These do’s and don’ts can help guide your concession stand decisions. Grilled Chicken vs. Hamburger: Do order the chicken sandwich. Chicken sandwiches are lower in fat, calories and higher in protein1. This sandwich choice will have you feeling full all game long. Just remember not to load up on the condiments! Hot Dog vs. Pizza: Do order the hot dog, but skimp on the condiments. One regular sized hot dog with mustard has 290 calories, while a typical slice of pizza contains 435 calories, even if it has veggies on it1. Cracker Jacks vs. Cotton Candy: Do order the cotton candy. Surprising, right? While cotton candy is entirely heated sugar, a typical two-ounce bag only has 210 calories. A 3.5-ounce box of Cracker Jacks has 420 calories1. Popcorn vs. Soft Pretzel: Do order the pretzel, but make sure it is plain. When selecting a dipping sauce, opt for mustard. While popcorn may seem like the lower calorie option, a full tub of butter and salted popcorn can pack 1,500 calories. A soft pretzel can still give your taste buds the salty taste they crave, but with 1,100 fewer calories1. Soda vs. Beer: While water is always your best option, there are a few ways you can sip on something fun without allowing your diet to be down for the count. If a soda is what you’re set on, order a small and fill it to the brim with ice. That way you’re getting your sugar fix without consuming too much. If a brew is what you want, choose the low-calorie option. These can have 50-100 fewer calories than a traditional beer and are filled with just as much flavor. A close game is a perfect setup for mindless or for nervous eating to kick in. To avoid this diet pitfall, pre-portion your snacks. This includes rationing your bucket of popcorn, your bag of peanuts or your sleeve of cotton candy and limiting yourself to one serving. One great thing about stadiums is that they’re incredibly walkable. During halftime or a break in the action, take a lap around the concourse. Often, you’ll still be able to hear the announcer’s play-by-play calls so you can get your steps in without missing the game. Sporting events don’t have to mean penalty flags for a healthy lifestyle. By planning ahead and looking for the right options, your team may not be the only ones going home victorious.